Government mouth pieces defending the indefensible – in my humble opinion. The most senior of them conveniently sidesteps a key question from MPs, ‘If you sell a house at a discount, how do you buy another one to replace it?’. Answer, ‘Spend what money you do get, fixing up the houses you’ve already got’. That’s helpful isn’t it. A top Marsham Street official has defended the Government’s Right to Buy policy as ‘good value for money’ following demands for its abolition. The scheme came under fire from MPs and the London Assembly this week, when it was accused of undermining councils’ efforts to build social housing and sapping funds. At yesterday’s meeting of the Housing, Communities and Local Government Committee, Labour MP Liz Twist said: ‘How can you expect councils to invest in new social housing if they have to sell the house at a discount under Right to Buy? ‘It seems a bit strange we are wanting councils to build and yet they are having to sell these houses at a discount down the line. Permanent secretary at the Ministry of Housing, Communities and Local Government (MHCLG), Melanie Dawes, said: ‘What we get in terms of economic benefits is that housing associations have receipts they are able to build with so we get the usual benefits from new housing supply. The London Assembly research by member Tom Copley also found the capital’s boroughs spend £22m each year renting back right-to-buy properties. 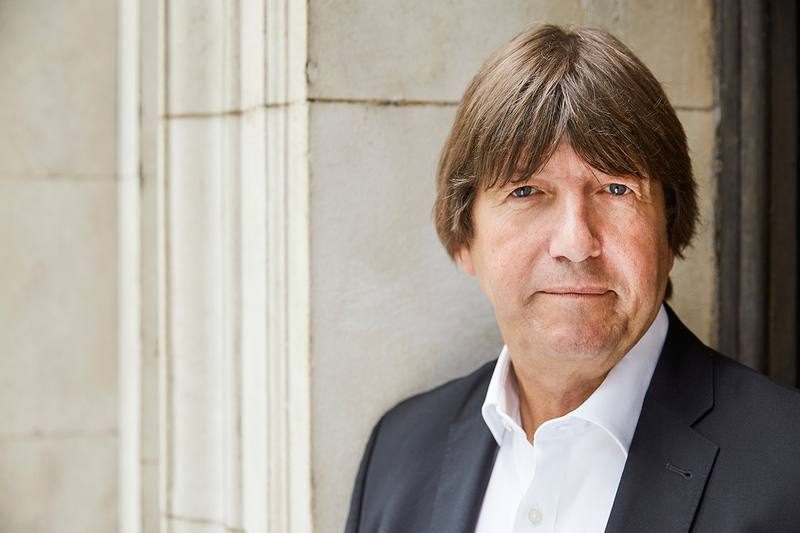 Mr Copley said: ‘Something has gone very wrong when tens of thousands of homes built to be let at social rents for the public good are now being rented out at market rates for private profit, sometimes back to the very councils that were forced to sell them. Cllr Darren Rodwell, London Councils’ executive member for housing, said: ‘These figures reveal the immense costs and inefficiencies caused by misguided policy at a national level and, with boroughs enduring a 63% cut in core funding since 2010, it’s clear we can’t carry on like this. MHCLG director general, Jeremy Pocklington, told the select committee: ‘We think it is good value for money. ‘The case for Right to Buy is it helps people into home ownership that would not otherwise be able afford their own home, which is something this Government strongly supports. ‘It does release resources that councils can use to invest in their stock. When total funding is calculated per head, English councils are once again worse off. In 2018-19 English councils are receiving, on average, £1,423 to spend on services per person. This is more than a third lower than what their counterparts in Wales and Scotland are given to spend per person this year – £2,309 and £2,237 respectively. 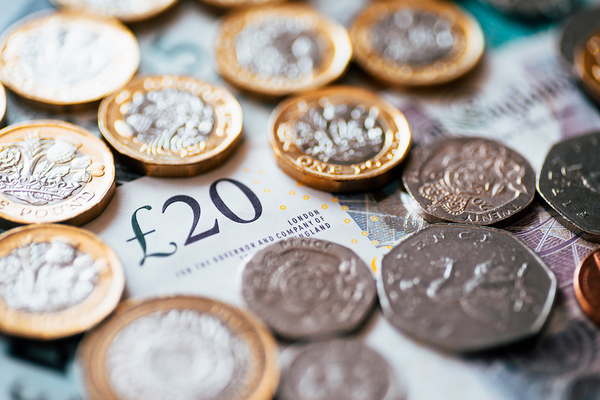 While the amount of per capita funding made available to councils in Wales and Scotland has increased by 5.2% and 0.2% respectively in absolute terms since 2010-11, England has witnessed a 29.8% reduction in the last eight years. Both the Treasury and the Ministry of Housing, Communities & Local Government declined to comment on the findings. Mr Sunak said that while he preferred to “focus on outcomes, not necessarily just inputs”, the extra money in the Budget amounted to a “pretty serious statement of intent”. Is Right to Buy a state sponsored gentrification programme? It’s probably a bit late to ask this question, given that this scheme has been in place for 30 years now. That said, the proof must already be there, especially in London where working class areas, that were a foreign land for those with means, are now fashionable and sort after locations for the young professionals, earning big money. Exposing social housing to the open market , in high demand areas, where demand is the through roof and prices constantly rising, inevitably means the original tenant, very soon becomes the ex-owner. It might seem like a a very worthy ambition, giving everybody currently sitting at the bottom of the pile and trapped in social housing – as certain people view it – a chance to own their own home. However, assuming that hat was even the original intention and it wasn’t just about killing off the bulk of social housing as we knew it, it’s also had the effect of depopulating our city centre of those of modest means, otherwise known as the working classes. So all those people who used to empty the bins, sweep the streets, dig up the roads, drive the delivery van, serve in the local shops and do the thousand and one other menial, but vital jobs that keep a city running, now live a journey away from their workplace. in some cases that journey may mean up to an hour spent on a bus, or train, travelling in from a remote housing estate where everybody else is doing exactly the same thing. The effect of this, is that nobody actually knows who their neighbours are anymore and therefore certainly little, or no sense of community, because there’s so little actual time spent in the company of those who live near us. Back in what used to be the social housing areas that haven’t been flattened and turned into expensive apartment blocks for the upwardly mobile, the housing has been gutted, extended and beautified, to make it desirable and more importantly, significantly more expensive than it was. Again, just like the workers they displaced, the lack of community will be clear, but this will be by choice in most cases, because their social lives take them elsewhere and opportunities more diverse. Job done. All those rundown, poorly maintained sink estates cleared out from our city centres And that ‘unpleasant’ working class riff raff removed to where it belongs, when it not actually doing the work that needs doing. The added bonus is, those who grabbed the social housing as soon as the first tenants where starting to sell, can now maximise their returns, over and over again, by renting to the high earners who need to live close to the city centres. If Right to Buy was really about getting those of modest means on to the housing ladder, it was a fatally flawed concept. It depopulated our cities of the ordinary working class people, by selling off the only type of housing they could ever have afforded to live in. If that was always the intention, shame on you Margret Thatcher. The Housing should have been retained and those who wanted to buy their own property should have offered equivalent grant funding to purchase their own home elsewhere. This could have been in a privately built, or publically funding housing developement, such as in the new towns. It was claimed that this would have forced people to move out of houses, or places they’d been in for many years and possibly spent money on. This is complete nonsense and just a smoke screen used by government to justify to the orignal scheme. Why should social housing tenants have been given that benefit on top of the massive discounts they received for the ‘equity’ they’d supposedly built up? How was they were any more entitle than somebody forced to rent a property in the private sector, where the end of lease meant the most you were likely to get back was your deposit if you were lucky? 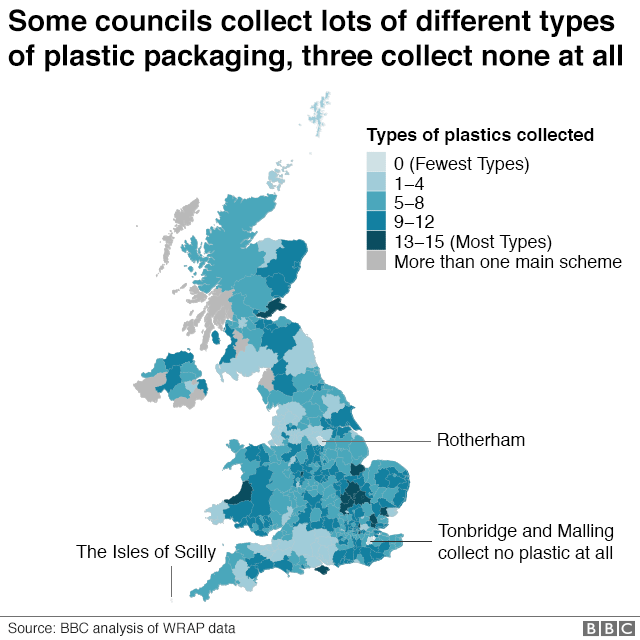 Most people are trying their best to recycle plastic – but the many different ways in which recycling is collected by different councils across the UK has left them confused. What can be recycled and what can’t? We are putting more plastic in the recycling than ever before – but pictures of sea life tangled in all manner of waste plastic mean the pressure is on to do more. The government is now considering changing the way plastic is recycled in England. In the rest of the UK the strategy for recycling is a devolved issue. 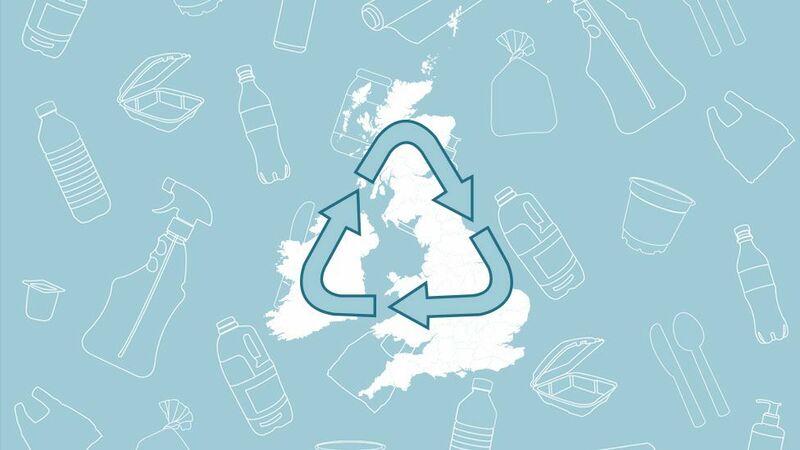 Around the UK, all four nations are hoping to improve their recycling rates. The review by the government may change the target for recycling in England, but currently the aim is that 50% of waste will be recycled by 2020. Scotland has a target to recycle 70% of waste by 2025 as does Wales. Northern Ireland has a proposal that 60% of municipal waste is recycled by 2020. Councils also employ many different companies to collect and sort their plastics. And having different recycling schemes in different areas – for example, in some areas you can recycle margarine tubs and in other areas you cannot – makes labelling difficult. 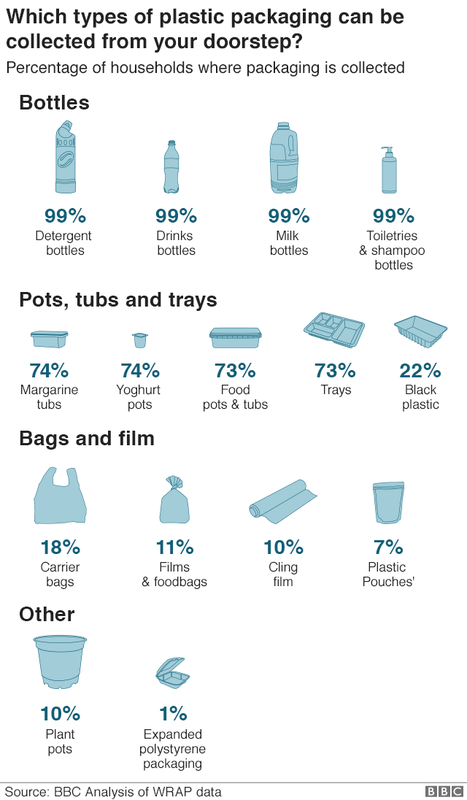 Most people in Britain regularly recycle plastic but almost half have had disagreements at home about what type they can put in which bin, a ComRes poll for the BBC suggests. And more than a quarter have these disagreements at least once a month. What to expect from the government’s review? 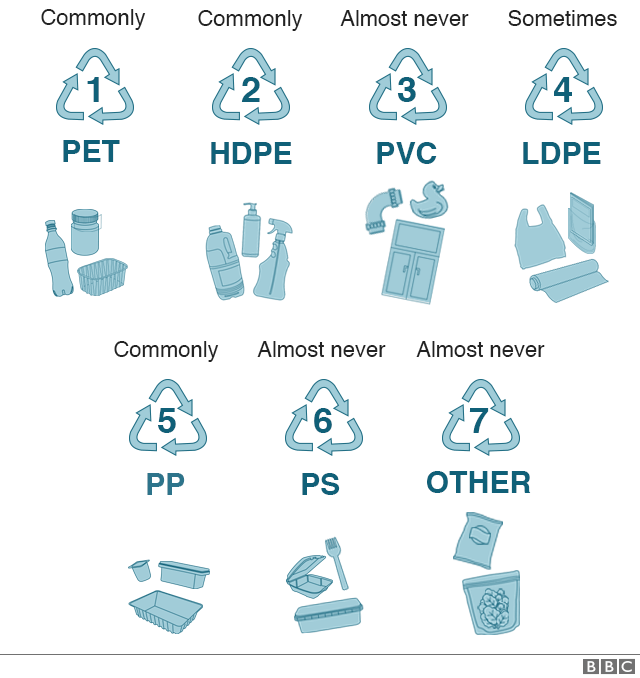 Of all the things we recycle, plastic is the most complicated. It comes in a profusion of very different types. Many products carry labels about recycling but some do not. And the labels themselves can be a problem. Your eye might fall on a recycling symbol but miss the very small print saying the item will not actually be collected from your home. 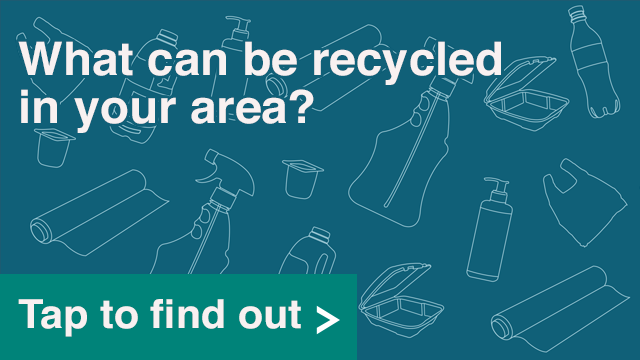 If you see the phrase “widely recycled” on a packet or carton, it means many councils will take it but not necessarily all of them. The government realises the arrangements can be confusing, even irritating. And in England it’s undertaking a review of the whole recycling system. Ministers could order manufacturers to use only the types of plastic that are easiest to recycle – but might that lead to higher prices? They could insist on labels that everyone can see and understand – but how would that work on tiny pots and bottles? The desire to boost plastic recycling rates is clear. But every option comes with challenges. The word is, we’ll see the government’s plans in November. All plastic can be recycled – but it is not always economical to do so. Most bottles will be sent for reprocessing in this country. 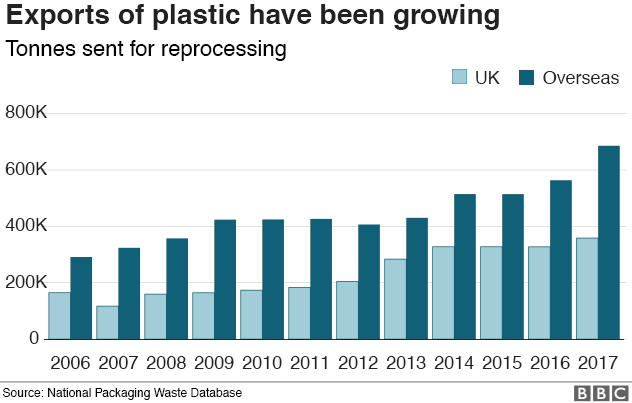 But plastic that is less valuable – about two-thirds collected for recycling – goes overseas and this figure has been rising. Earlier this year, the National Audit Office reported the plastic sent abroad could be highly contaminated, meaning it may not be reprocessed and could end up in landfill or contributing to pollution. Some countries are refusing to take any more of our waste. 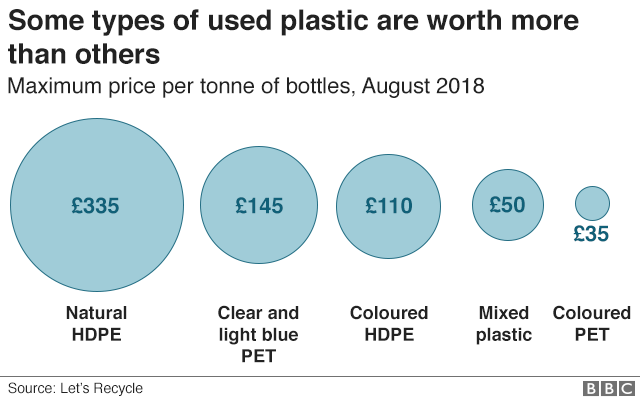 These bans are having an effect on the prices paid for waste plastic. 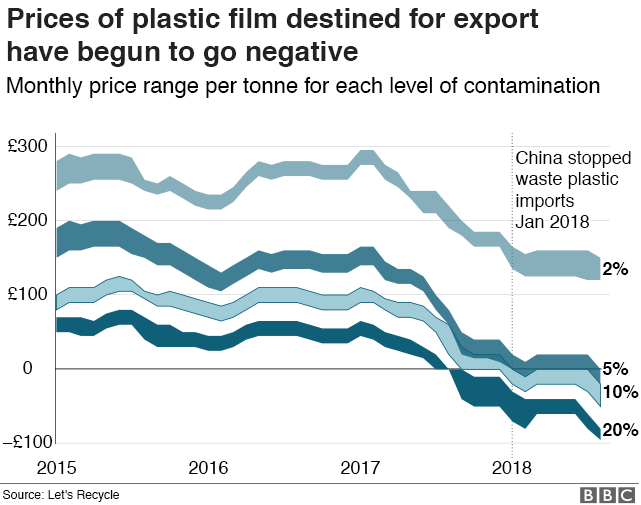 And this year the prices of the more contaminated plastics have fallen below zero, meaning companies are now expecting to be paid to take them away. Design: Debie Loizou. Development: Eleanor Keane. So it seems the Daily Telegraph was actually paraphrasing Theresa May’s speech and using the term council housing, to mean social housing. The £2 billion headline will be money for the housing associations to put very nicely into the hands of private developers via the various deals and conjurings that go on once a section 106 affordable housing obligation is in play. A wasteful and time consuming process at the best of times, £2 billion will soon disappear as each sides legal teams dance around the various council and housing association offices. Why not take a holistic approach to our national disgrace of failing to provide decent housing for those in the most need? The introduction of land value capture, would allow councils to aquire land at a sensible price, thereby making the most of any share of the £2billion on offer. This, combined with greater borrowing flexiblity, would offer a far greater return for the money available and more certainty of delivery. It would also ensure that this desperately needed housing, was being managed by those who best understand their communities. The Conservative head of the Local Government Association (LGA) has hit back after Theresa May suggested councils are not able to build at the same scale as housing associations. 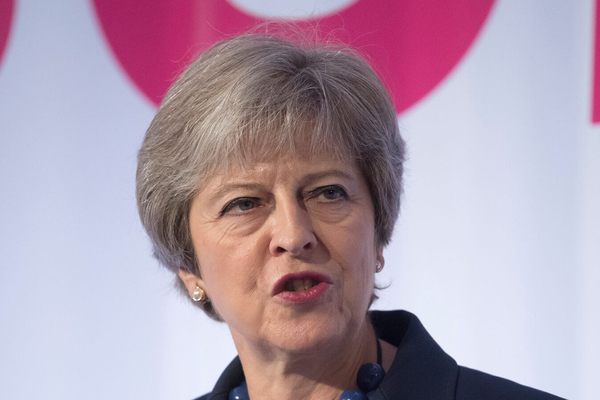 In a landmark speech to the National Housing Summit today, the prime minister said she wants housing associations to lead on creating “large-scale, high-quality developments” because the sector can “achieve things neither private developers nor local authorities are capable of doing”. She pointed to the Thamesmead Estate in south east London, which is currently being regenerated by Peabody after two councils had “problems dealing with the unique challenges and opportunities” of the project. But Lord Gary Porter, chair of the LGA and leader of South Holland District Council, said Ms May’s comment “misses the point about why we are not able to build at scale”. “Since RSLs [registered social landlords] took over building social housing they’ve built around 40,000 a year, we have never got to the numbers we need to have as a country,” he told Inside Housing. “That’s not to blame the RSLs, it’s because we have not been part of that mix as councils. “And what we need to do is get the Treasury to get off our backs. I don’t need more money, I just need freedom so I can spend my money. However, Mr Porter did also praise the prime minister for emphasising the value of social housing. In her speech, Mrs May said the rise of social housing “brought about the end of the slums and tenements, a recognition that all of us, whoever we are and whatever our circumstances, deserve a decent place to call our own”. The government has offered councils £1bn of additonal borrowing headroom to build new homes, but this is limited to areas where there is a large gap between private and social rents. It will not be available until April 2019. Councils have long called for caps on the amount they can borrow to be lifted to allow them to build new social housing at scale. Despite years of trying to undermine, even eliminate social housing from the housing landscape of the United Kingdom, they have finally had to accept that it has a vital role to play in providing decent housing for those in need. I sincerely hope that this is not just a sound bite, designed to placate those who have been seeking to remind the Conservatives of their duty to work in the interests of the whole nation, not just those with the right background and connections. It would appear that Lord Porter of Spalding’s constant pressure on the Conservative government, has finally paid dividends. 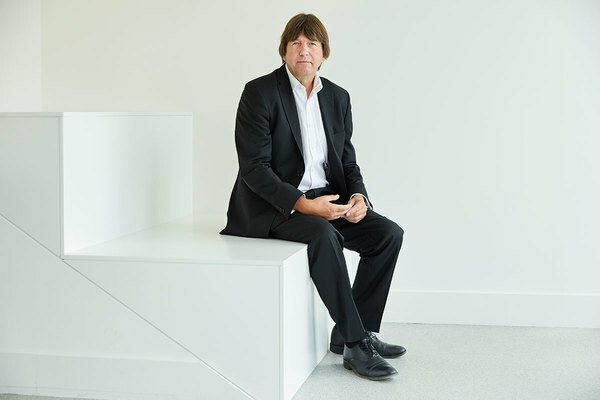 Gary Porter, Leader of South Holland District Council, has never been backwards at coming forwards as they say, when it comes to the subject of housing. His passion for council housing and ensuring that councils are able to replace the stock lost to the ‘well meaning’ but flawed, Right to Buy process, is we’ll documented. I also agree with his belief that councils should retain ownership of their housing stock and add to it as the needs of their local community grows. Why councils cannot be viewed in the same way as the private sector when it comes to providing rental properties, escapes me. It is no doubt tied to the origin of the money that built the original Council housing stock coming from central government. Since that time, the Treasury has never missed an opportunity to remind local government that it still somehow ‘owes’ the Treasury that money. So now, in an apparent change of heart, a new lump of money no doubt with even more strings attached, is to be made available to councils to replenish their housing stock. However, if the government make it as difficult as they often do when providing financing, the housing is likely to take many years to become a reality. Meanwhile, councils are just getting on with it. THERESA MAY will today signal a major shift in Conservative policy on council housing by insisting that people should feel “proud” of living in a state-funded home. In a speech on housing policy, the Prime Minister will pledge to spend an extra £2 billion on social housing and will say that politicians and society should stop “looking down” on those who live in council homes. Since Margaret Thatcher’s revolutionary right-to-buy housing policy of the Eighties, a central tenet of Conservative policy has been encouraging home ownership and appealing to the working classes who aspired to buy their council-owned properties. However, in the wake of the financial crisis, which led to a drop in home ownership, the Prime Minister will today seek to change the language used by senior Tories about council homes. “For many people, a certain stigma still clings to social housing,” she will say. “Some residents feel marginalised and overlooked, and are ashamed to share the fact that their home belongs to a housing association or local authority. “And on the outside, many people in society – including too many politicians – continue to look down on social housing and, by extension, the people who call it their home. She added: “I want to see social housing that is so good people are proud to call it their home.” Mrs May’s remarks signal a change in tone for the Conservatives, a generation after Lady Thatcher spoke about the pride of home ownership and its benefit to inner-city estates. However, the comments mark a risky approach, as the Conservatives have traditionally relied on the support of home owners, or those aspiring to own homes, for electoral victory. Mrs May will make her speech hours before she travels to Salzburg for an EU summit at which she is expected to plead with European leaders to accept her vision for Brexit. Her speech is also designed to offer a domestic agenda to poorer areas of the country that voted Leave. It is part of a policy programme, including energy price caps, that involves more intervention in markets ministers do not believe are functioning properly. Downing Street insisted Mrs May was not trying to dilute Lady Thatcher’s right-to-buy legacy, and that it remained her “personal mission” to get more people on to the housing ladder. However, she believes social housing is essential in fixing the housing crisis. Mrs May will address the National Housing Federation Summit, the trade body for housing associations, and will urge it to get on with building high-quality homes the Government has already agreed to fund. She will announce an extra £2 billion in funding over the next 10 years to give housing associations “the certainty they need” to break ground on tens of thousands of affordable homes. So far eight associations have been given a total of £600 million to build almost 15,000 affordable homes, but Mrs May wants more to follow suit.